The Stuart Highway Overtaking Opportunities project is part of the $160 million Improve Flood Immunity, Road Safety and Productivity on Northern Territory highways project funded by the Australian Government. 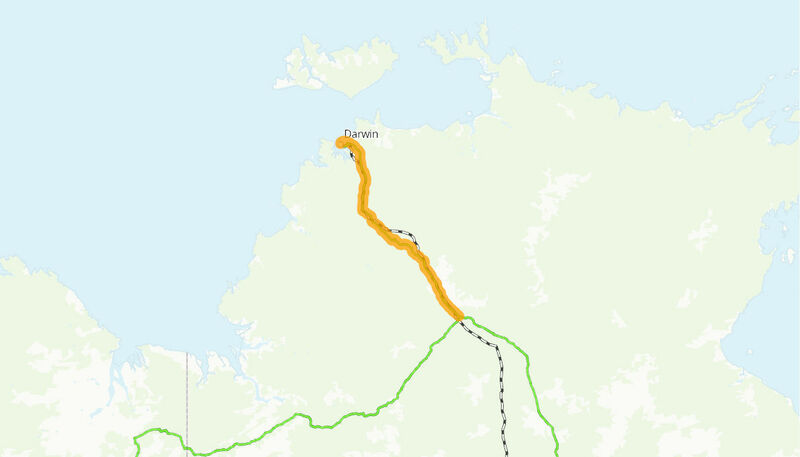 The Stuart Highway forms the main link of the Northern Territory sealed road network providing access for the community, industry and tourism. This project will address safety and overtaking capacity constraints on the Stuart Highway and improve the safety, efficiency and reliability of travel for all road users. This project specifically targets the identified areas and will bring benefits to road users through increased safety, corridor efficiency and reduced travel times. The Australian Government provided $18.08 million to this project. Work commenced on the first of the overtaking lanes in January 2010, with construction completed mid 2014.